Relax...We'll Bring the Shop to you! All workmanship guaranteed for 90 days. 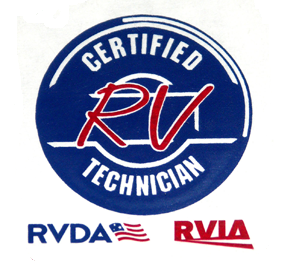 All mobile RV repair work will be performed by either an RVDA/RVIA Certified Technician or A Technician in training directly supervised by an RVDA/RVIA Certified Technician on site. We Bring The Shop To You! 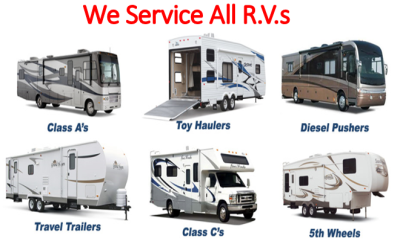 North American RV Services is completely Mobile.. which means you don;t need to disconnect at the park and interupt your trip. We will send an RVDA/RVIA certified technician directly out to you! 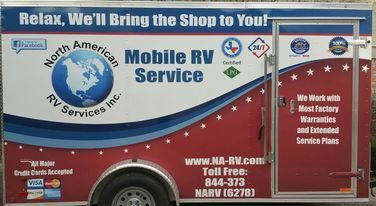 North American RV Mobile Services guarantees all workmanship for 90 days. 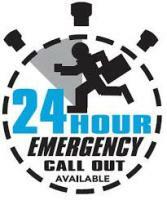 If any system we work on fails for any reason due to our work within 90 days, we will repair at no cost. 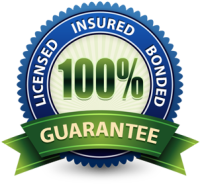 All of our mobile RV technicians are RVDA/RVIA certified and insured. 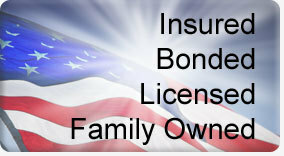 We work with most factory warranties and extended service plans.